You must consider household insulation scrutinizing every element of your house when you plan to build a new home. Heat loss and improper insulation can actually lead to a lot of energy losses. It can result in very costly energy bills. The best way to avoid this is to insulate your house effectively. Here is how you may go about it. You must insulate your home perfectly to prevent wastage of energy due to improper insulation. Energy may be wasted in the form of heat. The energy is actually generated today primarily by burning non-renewable energy resources like peat, coal, wood and oils. These are limited sources of energy. You need to take initiative to avoid misuse of these resources. How can you prevent wastage of energy? There are numerous different ways to avoid the wastage of valuable energy. Here we have listed a few of the best known methods to avoid energy wastage. 1. The first best way is to thoroughly insulate your home. 2. Yet another great way to avert the misuse of vital energy is by designing the house in a manner that optimizes the use of valuable resources. 3. You must always pick appliances that use electricity in an efficient manner. 4. You must also try employing sustainable methods and renewable energy sources whenever possible. What are the various facets of household insulation? When you consider insulating your entire house, there are many aspects you need to take into account. Here we have listed the various aspects of home insulation that you may have to consider. Nearly 66% of the heat and energy is actually lost through the house’s walls. You may reduce this percentage, if you select the right kind of insulation for the walls. This can help you reduce heat loss through the walls. If you have to insulate your house walls, you must first be aware of the type of walls you have in your house. You can know this by consulting an architect. The type of insulation for either type of wall varies. 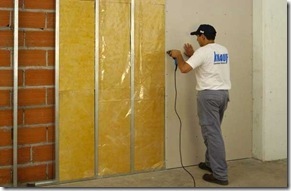 There are several options for wall insulation. If you have cavity walls, cavity insulation is definitely going to be the most cost effective methods. Choice of Windows: The type of window you choose for your house can also immensely affect the heat loss and insulation. Your household windowpanes may have glasses of different varieties. These glasses may have different conductivities. This will also vary their heat absorbing capacity. Usually windows may either have a single layer of glazing or a twin layer of glazing. Single glazed windows may lead to greater heat loss. Double glazed windows have a layer of air in between. Air is a poor conductor of heat. This reduces the misuse of vital resources. Today, there are more advanced variants among window panes that do not permit loss of heat. 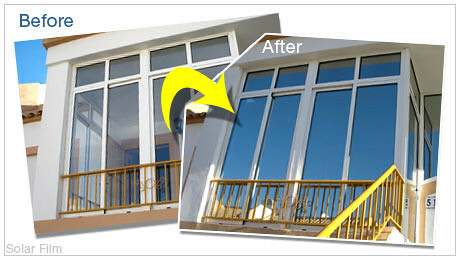 Windows can also impact the energy efficiency of your home. You must be choosy about the window frames too. You must select energy efficient materials for the window frames too. Do you live in a two storied house? In that case, the major heat loss may be from the ground floor of your home. It can account to nearly one tenth of the total heat loss from your home. You have to thus take the ground floor insulation of your home seriously. The heat loss from the ground floor actually varies depending on the soil on which the house is built. If your house is built on a dry soil, it will lose less heat. On the contrary, if you build your home on wet soil, there are greater chances of heat loss from the ground floor. You surely need to insulate your roofs as the major heat loss takes place from the roof. It may sum up to almost 30% of the total heat loss. The types of insulation may also vary depending on the type of roof you have for your home. 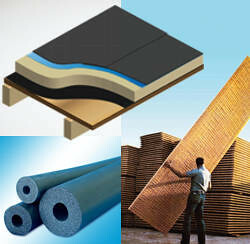 There are various insulating materials that you may employ to avert heat loss from your roofs. 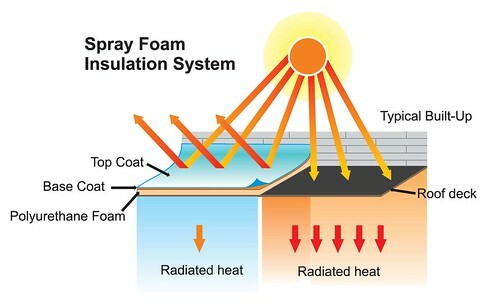 Some of the most common materials used to insulate the roofs are semi-rigid insulation boards like mineral fiber boats, extruded polystyrene board, phenolic foam boards or even urethane foam boards. 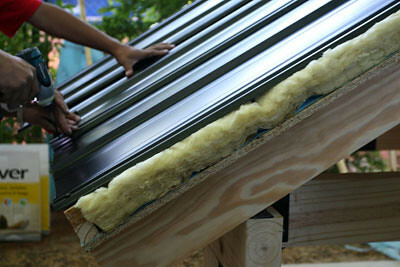 Sometimes mineral fiber quilts and glass fiber quilts are also used to insulate the roofs. Here are some simple tips and guidelines that will help you buy the right insulation for your house. 1. You may purchase insulation from DIY, Builder’s providers or even some of the hardware stores. 2. You must always buy hardware from a reputable hardware supplier. This will help you stay assured that you have invested the money in the right insulation. 3. Before you buy the insulation, you must have a clear idea how much insulation you need for your house. This will help you have a rough idea of how much money you need to invest. If you ever plan to do the attic insulation, here are some essential points you need to keep in mind. 1. You must always cross-ventilate the attic of your house. This will ensure proper transfer of heat. 2. You must never bury the electric cables or wirings beneath the insulation. 3. You must leave proper clearance for the recessed lighting below the insulation boards. 4. You must avoid using combustible insulation when you are insulating your attic. These are just a few simple and easy ways to insulate your home. As you need to prevent the wastage of energy, insulation is assuming a lot of importance these days.